bebopified: CD review: Nancy Harms' "Dreams in Apartments"
Today is the official release date for Nancy Harms’ new CD, “Dreams in Apartments,” and I wish she could be here in Minneapolis to launch it. I’ve been a Nancy fan since April 2008, when I first heard her sing one song after Arne Fogel, whose gig it was, invited her up to the mic. Later I wrote this brief summary: “I like Nancy’s voice and her broad, open vowels, and her red hat.” Looking back five years, I remember that night very clearly, and what really happened: Nancy’s voice snared me like a velvet rope and has never let go. Nancy has those qualities I find most exciting in a jazz singer: singularity (she doesn’t sound like anyone but herself), authenticity, and integrity. Also the ability to take a song, turn it inside-out, and stamp her signature on it. Like Stacey Kent, Nancy sings two notes and blows her cover. Like Patricia Barber, she inhabits her own world of sound and invention and interpretation. She’s not as well-known as Kent and Barber, but she should be. She has a genuinely beautiful voice (that velvet rope) and a spacious yet precise sense of timing. She knows how to tell a story and make a lyric spark and hum with emotion and truth. She has courage, and she means business. 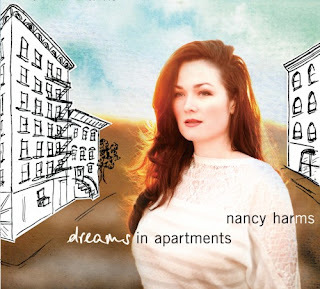 “Dreams in Apartments” is Nancy’s second album under her name. “In the Indigo” came first, in 2009, with its killer opening track “Bye Bye Blackbird.” She appears on trombonist Wycliffe Gordon’s “Hello Pops!” (2011) and pianist Jeremy Siskind’s lovely “Finger-Songwriter” (2012), with its knockout “Vanished Music, Twilit Water (for Seamus Heaney).” She’s in a group called “Double Bass Double Voice” with singer Emily Braden and bassist Steve Whipple, which ignores its own limitations and makes enjoyable music. Now living in New York, where she moved in 2010 after four years in the Twin Cities, she’s performing at places like Birdland, Kitano, and Smalls. Once upon a time, not that long ago, she was teaching elementary school in Milaca, Minnesota, population 2,934. Before then, she grew up in even smaller Clara City. She was living the life she thought she was supposed to live, then one day she jumped off the train and began reinventing herself. “Dreams” is a mix of originals and standards. All of the standards bear her stamp. “It Could Happen to You” is sigh and suggestion tempered with world-weariness. It could happen to you, but don’t hold your breath. In “Mood Indigo,” a co-arrangement with pianist Aaron Parks, Ellington’s easy-going swing has been replaced by a 9/4 time signature that changes the song so much I cling to the melody like a life raft. I’ve heard this arranngement before, sung live, and while I admire it, I don’t get it. Except that what Nancy does with the word “die” (“I could lay me down and die”) is to die for. “Never Let Me Go” is simply gorgeous. Slow and wistful, with occasional well-placed embellishments. She’s accompanied by soft brushes and guitar. This is dangerous late-night listening. When she sings the question, “You couldn’t hurt me, could you?” you want to beat up anyone who would even try. Here’s Nancy reinventing herself as vulnerable. “From My First Moment” isn’t a standard, nor is it an original. Based on Satie’s Gymnopedie for Piano No. 1, with lyrics by Sam Babenia, it was first recorded by Charlotte Church. That version is unimaginative, the arrangement overdone. (I can picture Satie’s performance instructions: “Get those strings out of there!”) Thank goodness Nancy is a jazz singer. 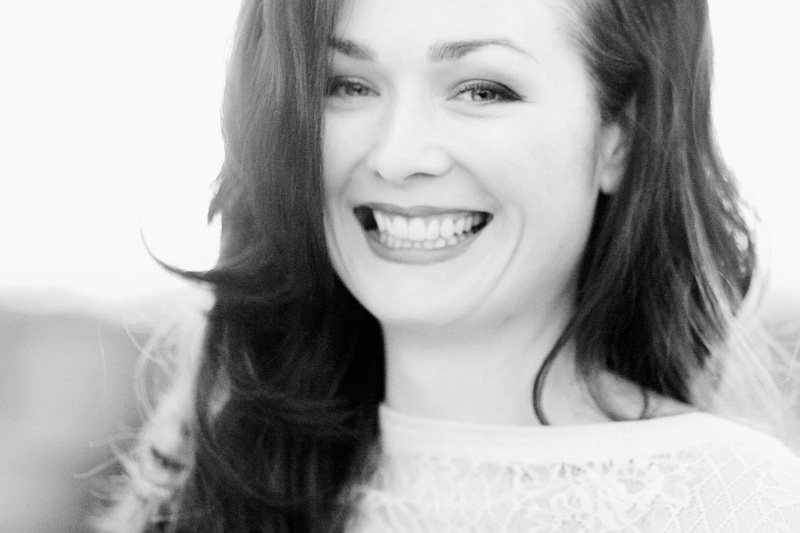 She shares arranging credits with Jeremy Siskind, with whom she has recorded (“Finger-Songwriter”) and toured, and her version is about ten thousand times more interesting. “Midnight Sun” is sung through a smile, illuminating Johnny Mercer’s lyrics: “Your lips were like a red and ruby chalice … The clouds were like an alabaster palace … Each star its own Aurora Borealis.” Such juicy, tasty words: moonlit veil, nightingale, stardust, ember, crystalline. Nancy draws out the ending, then draws it out even further, because no one wants this night to end. The final standard on “Dreams,” also the last track, “While We’re Young,” is lilting and hopeful. Nancy ventures more into her higher register, adding lightness to lyrics that aren’t really about being young; they’re too wise. The song is a sweet farewell, for now. The originals, most co-written by Nancy and Arne Fogel, hold their own in strong company. At first, I thought “And It’s Beautiful” was a standard, that I’d heard it before. Here, as in “Weight of the World,” the lyrics seem personal and autobiographical: “Stepping into your life a stranger/A shell of a former you/A distant memory of what life used to be/But there’s a fighter that lives within you.” Wycliffe Gordon takes a guest turn on trombone, and his horn and her voice sound like old friends. “Out of Comfort” is the track I keep returning to. For me, it’s the centerpiece of the album, a blend of revealing lyrics (“I step out of comfort and there I go/No safety net to catch my fall”), dream-sequence vocals, and an improvised midsection powered by John Hart’s electric guitar. It's the most experimental. Nancy’s voice, absent almost all vibrato, is like water flowing downhill. It disappears, then returns to repeat the opening line in a new key. “Something Real” is a song of anger, frustration, and dismissal (“I’m not your wide-eyed little girl/Not here to orbit round your world … I’m looking for a shred of authenticity”). Too much New York? It’s sassy, assertive, and probably the most pop-radio friendly, thanks to Hart’s guitar. At first it seems out of place. It’s another reinvention. I’ve mentioned Hart’s guitar and Wycliffe’s horn, but I’ve been remiss in giving props to all the musicians. The rhythm section – Aaron Parks on piano, organ, and Fender Rhodes; Danton Boller on bass; R.J. Miller on drums – is sensitive and supportive, and the musicians have plenty to say. Parks contributes several beautiful solos. Putting the right band together is daunting, and Nancy faced a special challenge when the young pianist she originally had in mind, Shimrit Shoshan, died unexpectedly from cardiac arrest on August 22, 2012. Nancy and Shimrit had performed together at The Bar Next Door two weeks earlier. “Dreams in Apartments” is about dreams in strange places and anonymous spaces that don’t yet feel like home. It’s about restlessness and change, the need to keep moving, the awareness that time is short, a life in flux and on the cusp. Another line from “And It’s Beautiful” could be the theme: “Every step is a new creation.” Well-planned and well-paced, Nancy Harms’ second album – only her second – has moments of real magic.